LTC (Ret.) 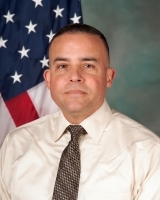 David Centeno serves as the Chief for the Tank Automotive Research, Development, and Engineering Center’s (TARDEC), Emerging Capabilities Office (ECO). The ECO’s mission is to lead, synchronize, integrate, and manage ground vehicle developmental prototype programs and capability demonstrations to inform emerging requirements and acquisition decisions/strategies. Mr. Centeno retired from active military service with the U.S. Army, after serving for over 20 years. He served as a Finance officer and Armor officer, upon graduation from the University of Puerto Rico ROTC program. Prior to his commission, he served as an enlisted soldier in the U.S. Army Reserve. LTC Centeno’s operational assignments include Scout Platoon Leader, Battalion S3, Company Commander, and Assistant Brigade S3. LTC Centeno’s combat tours include tours to both Iraq and Afghanistan. He has also served in Korea, Germany, Bosnia and Kosovo. LTC Centeno transitioned to the Army Acquisition Corps in 2005. LTC Centeno’s acquisition assignments include APM Abrams Rapid Fielding, APM Bradley A3 Fighting Vehicle, Contracting Officer, and Product Integrator-TARDEC (Warren, MI).